Honoring Tradition. Celebrating Your School. 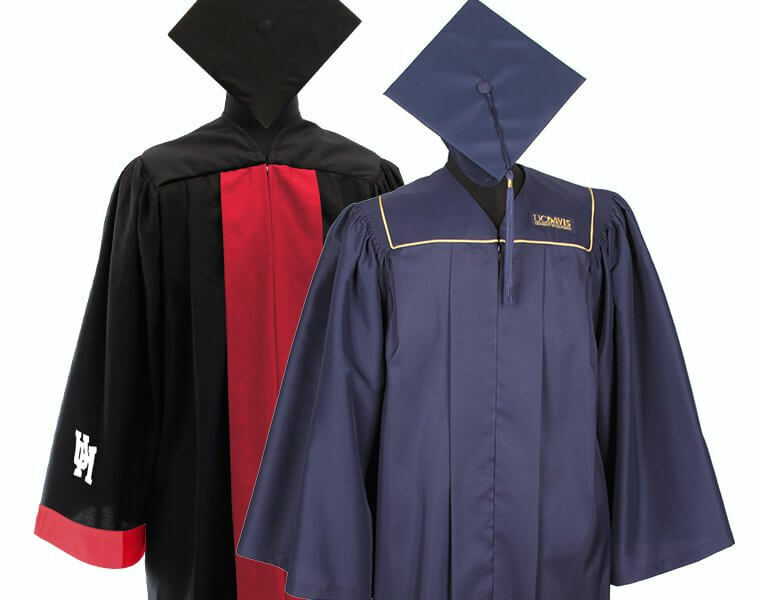 GradLegacy is our premier collection of college custom cap and gown products. From branded accessories to exclusive caps and gowns in your school colors and embroiders, all the way to fabric specially printed for your school. 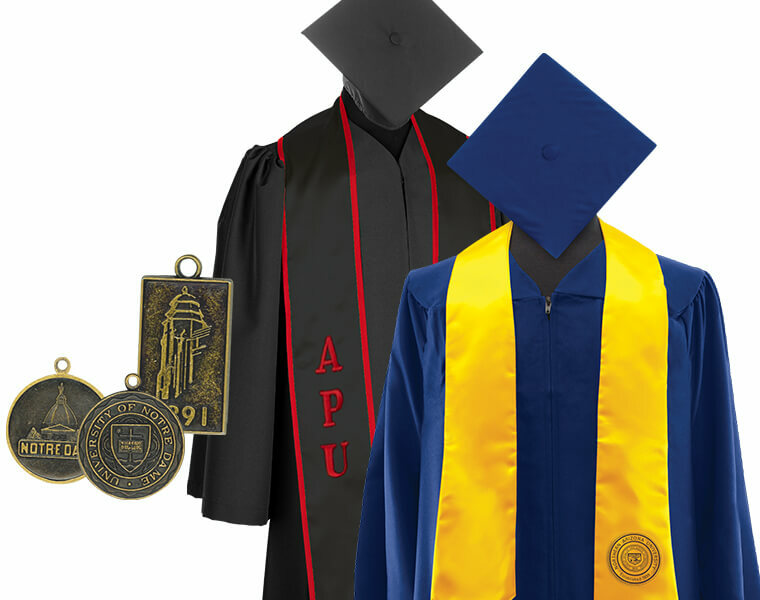 This unique line of caps, gown and accessories leverages your school’s brand and brings it to life on one of the most important days. Check out our full line of Caps & Gowns by watching the video below. 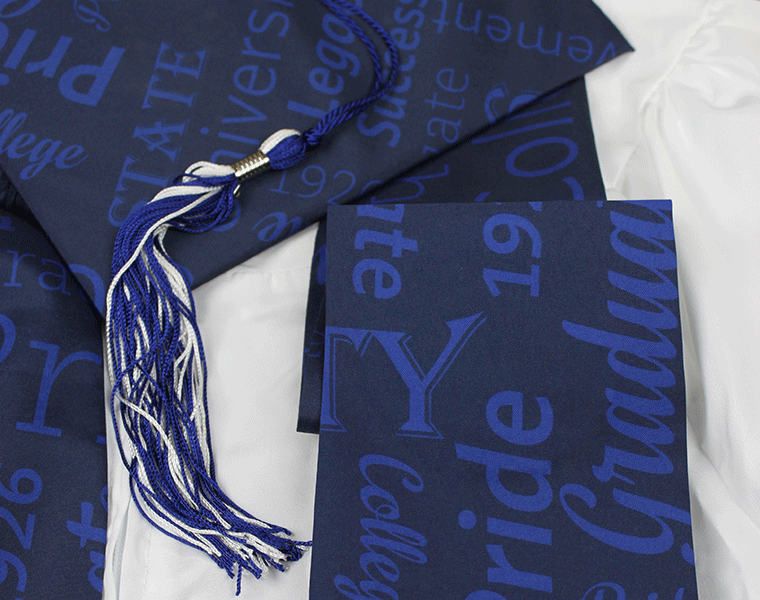 Custom prints is an innovative way to personalize the graduation experience while honoring your institution’s brand and traditions. Turn long-standing traditions into long-lasting memories by creating a graduation experience that will always be remembered with pride! Educators, want to get started right away? Reach out to your Herff Jones Rep to Learn More! Custom Prints is fabric printed in your school colors and designs. It leverages your school's legacy to create a new brand of tradition, while celebrating a graduate's pinnacle of achievement. Second to none - custom gowns allow a school to honor its heritage by personalizing gowns with a school's crest and colors. A simple way to signify your school's brand is by adding a signet or accessory - like a Stole of Gratitude or an Achievement Stole.